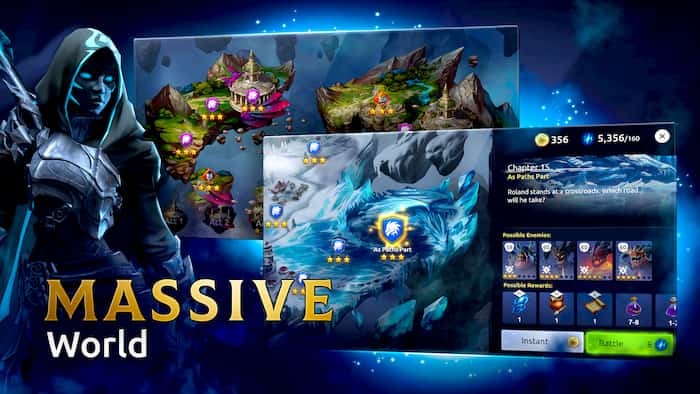 If you’re looking to lose several hours exploring a fantasy based rpg game which offers solo battles, guild battles, campaigns and tournaments, it’s well worth continuing reading to learn about Age of Magic’s features. Each time your chosen clan successfully pulls off a raid against a rival clan, you’ll receive raid tokens, which you’ll be able to use exchange for rare shards or for powerful heroes. Both of which are available in Age of Magic’s raid shop. 2. Lengthy campaigns which feature mysterious, well fleshed out characters. If you’re sick of playing rpg games which don’t feature well crafted storylines, you’ll love the fact that Age of Magic for PC features several lengthy campaigns to complete. Some of the examples of the mysterious characters who you’ll meet on your adventures include Roland, a mage who seeks to claim the dark tower as well as Sharazar, a deadly assassin with hidden intentions, who won’t stop killing till he meets his objective. 3. A weekly 24 hour tournament. Each week you’ll get to sign up to compete in a 24 hour tournament, which features solo player battles against real life players from around the world. The longer you last, the better the prizes which you’ll receive will be. 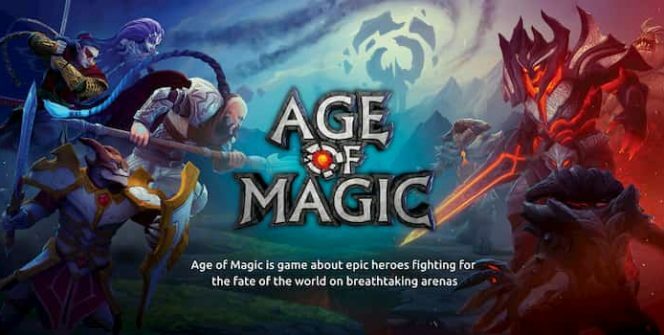 If you download Age of Magic, you’ll get to collect over 50 unique heroes, who you’ll be able to use to form a formidable squad. Which you’ll be able to use to win solo battles as well as campaign battles and guild battles. As each hero features unique abilities, advantages and disadvantages, it’s well worth playing around with your squad line up, in order to ensure that you have a strong, well rounded team, that will be hard to beat. 5. You can explore Age of Magic’s beautifully animated world. When you’re not trying to win your first tournament or completing a campaign, you’ll be able to explore Age of Magic’s beautifully animated world. Examples of some of the destinations which you may be keen to visit include the bone chilling tomb of horrors and the valley of treasures. All of which offer valuable rewards, which are well worth searching for. Every few weeks you’ll notice that Age of Magic has a new limited time event to complete. As the rewards for successfully completing limited time events are incredibly powerful, it’s well worth devoting the bulk of your time playing Age of Magic, completing any limited time events which you see pop up. If you’re worried that it may be hard to complete certain limited time events due to your player level, don’t worry as there are different missions for players of different skill tiers. The ultimate challenge playing Age of Magic is defeating the game’s dangerous bosses. While you may be able to beat the game’s first few bosses, you should notice that each subsequent boss that you face, is stronger than the last. So it’s crucial to equip your characters with armour and powerful weapons and to level up your characters in order to give yourself a fighting chance to beat Age of Magic’s bosses. So if you love fantasy rpg games and can easily lose track of time when you’re playing well crafted rpg games, you’ll be sure to fall in love with Age of Magic. Sometimes when playing Age of Magic, bluestacks ask you fee to pay but gives you option to download some apps. Every time it asks you just select “Install apps” and continue using it free. I hope you enjoyed this article, please rate and share. If you have problems running Age of Magic on your desktop or any other issues, leave a comment below.